Former CDC Director that Approved Gardasil Vaccine and Became Head of Merck's Vaccine Division Named "Woman of the Year"
The revolving door between "Big" corporate officers (and corporate lawyers) and the federal agencies is so old as to be considered a bad joke. It works the same in ALL the agencies. "Big" of course referring to Big Ag, Big Pharm and Big - whatever other corporate collars can get their mitts in. In addition to CDC, we ought to be watching USDA (which rules over some of the ingredients used in vaccines) and the FDA which approves them. Take for instance, Ann Veneman, who started as legal council for Monsanto and was appointed Secretary of Agriculture under Shrub Senior. She claimed (or was handed ownership of) the National Animal ID system, which we now oppose under the NEW name and marketing of Animal Traceability. Has NOTHING to do with animal health and everything to do with control of the food supply... She then moved over to head the FDA and finally landed a prestigious job with CDC before going right back to Monsanto. Now we have the illustrious Sonny Perdue, who of course has NO interest in vaccination despite being in the chicken (and egg?!) industry, and another corporate power- and cash-monger. People need to wake up, take notice and stand up. Government rules by consent, and a lack of sustained and intelligent action is - indeed - the very worst yet most effective form of consent. I am ready to join any and all in May to protest the awarding of this award to her. I venture to guess those responsible for this nomination are likewise compensated for the destruction of the lower masses - like me, my children and grand-children. If someone wants to organize this and put up a Facebook Page and anything else, we will publish it on Health Impact News. We should all go to Washington in May where they are conferring this award to her and protest. 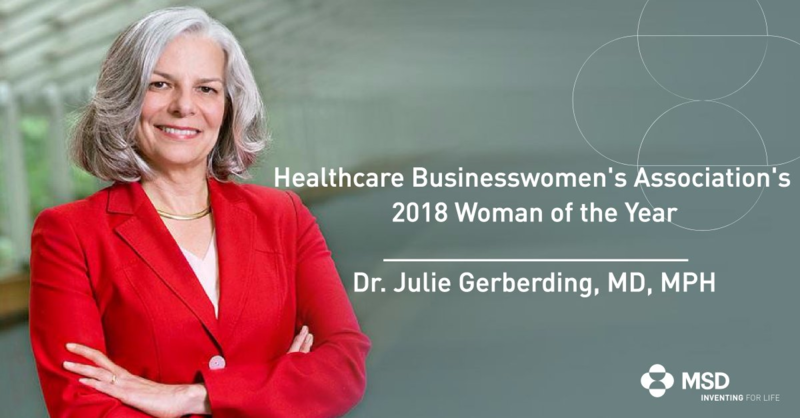 266 people commented their shock and dismay on the Healthcare Business Association facebook site regarding the absurdity of Julie Gerberding getting this award and the site deleted them. The truth hurts.